The Grandmaster tier of Ursine gear is a new addition in the Witcher 3 Blood and Wine expansion. Also referred to as the Bear collection, Ursine is a heavy armour set providing immense protection from melee attacks. 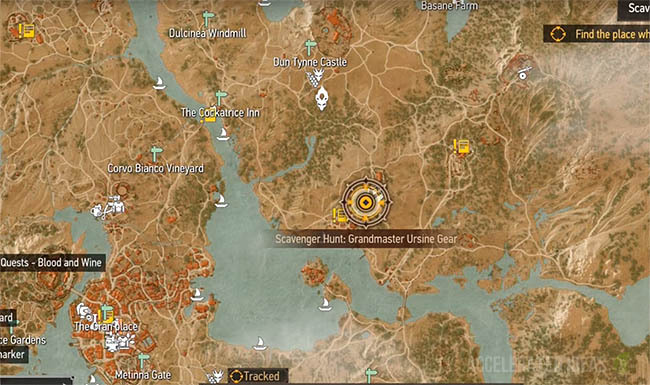 In this guide you'll find a complete walkthrough for each of the diagram locations required to craft the complete Ursine set from the Grandmaster armorer. 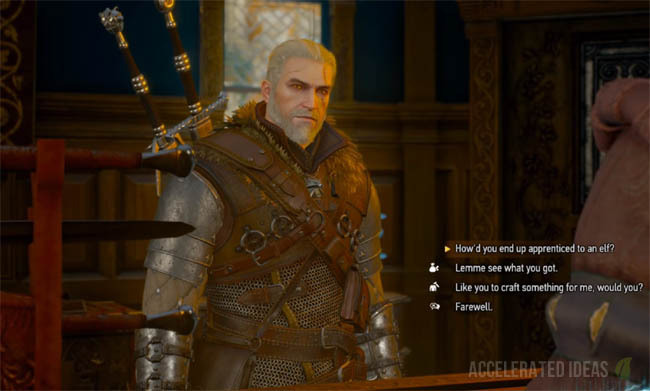 Like the other Grandmaster diagrams, all of the items you need can be found in the new Toussaints region of the Witcher 3 world. Thankfully, the complete armour set can be found by exploring only two locations: the first contains the silver sword, armour and gauntlets whilst the second collapsed building hides the steel sword, trousers and boots. Once you've found all the diagrams, simply head over to the new Armorer to craft your brand new armour set. It couldn't be easier to upgrade your armour from Mastercrafted to Grandmaster in just a few minutes. East of the Corvo Bianco Vineyard, across the water lies a small settlement. Explore the center of this area for a red, collapsed building. 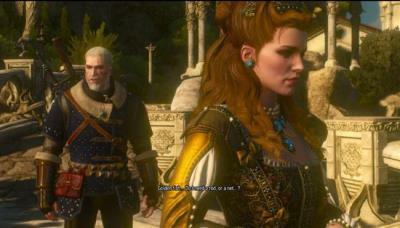 Geralt will say "Collapsed building, foundations probably caved in". Use Aard to smash the rubble at the rear of the building and venture underneath the building to the basement. The diagram is not far inside by a rock wall. East of Corvo Bianco Vineyard, exactly between Flovive and Dun Tyne Castle lies two caves. Explore the North West cave, drop down underground to the sound of fast flowing water. Follow the route until you come to a T junction with a small tunnel in front that leads to a dead end. Do not turn left or right, but instead explore this small tunnel for the diagram.